Blake (Michael Pitt) is a musician modeled on Kurt Cobain. The narrative is a fictionalised account of the Nirvana frontman’s last days. Last Days (2005) is an interpretation of the events surrounding the death of Kurt Cobain. Gus Van Sant directs this movie and it offers no opinions on the circumstances and instead merely dramatizes them. Michael Pitt manages to capture and convey the mannerisms of Cobain whilst providing a nuanced character performance of Blake. Last Days is the final part in Van Sant’s self-titled Death Trilogy with the first instalment being Gerry (2002) and the second being Elephant (2003). All three films utilise a minimalistic approach with the emphasis being on conveying a specific tone. However Van Sant, often known for more notable films like Milk and Good Will Hunting, found that his trilogy wasn’t as well received as his other work. This is perhaps due to the fact that the Death Trilogy is often seen as a departure from his usual filmmaking. His films in this series could be read as unexciting but in many ways that is the inherent point. Through visual storytelling Van Sant delves into the poetry of the moment rather than the overarching whole. Everything exists in the present however fleeting that can be. The death of Kurt Cobain had a notable impact on the music industry, fans of grunge and Nirvana, and it’s the perfect fodder for an interesting biopic. However Van Sant shunned this perhaps more traditional approach and instead chose to centre the narrative on the person in the middle of it all. Michael Pitt does well in this role and he coveys a complexity that belies the simplistic storytelling. There is a distinct lack of a plot but the knowledge of the ending adds a real sense of impending doom and prolepsis. Pitt captures the end of a fading rock star’s career with care and it’s easy to recognise the battles he experiences with drugs, hangers on, and obscurity. Blake is a character that is recognisable and in that we start to find the crux of Van Sant’s narrative choices. 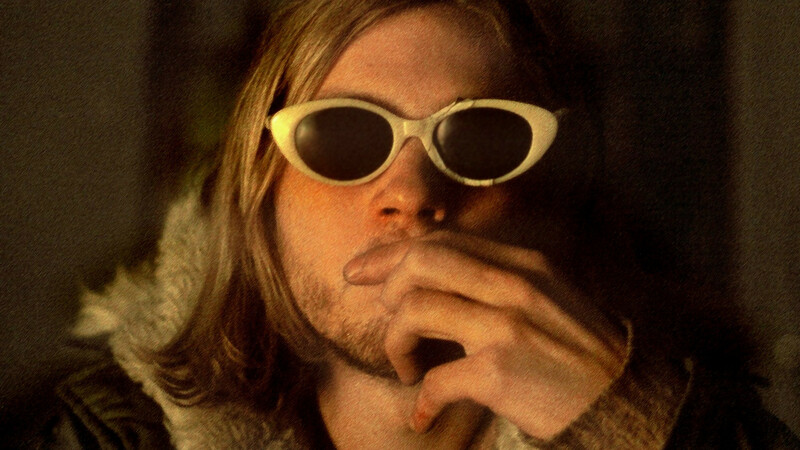 The director is aiming for realism and by choosing to emulate Cobain rather than portray him he removes much of the stigma that surrounds the idea of celebrity. This allows us as viewers to experience the reality of a fall from grace. One of the key hallmarks of Gus Van Sant’s Death Trilogy is the attention to the mundane, to the everyday. In Last Days we see the boring nature of Blake’s routine, from a door-to-door salesman to evangelical Mormons. However Blake is always removed from the events taking place and in many ways it creates the feeling that he has already gone. Blake tries to avoid everything that provides him with a connection to reality. This self-imposed exile ensures that Blake will remain very much alone. A scene that sticks out involves a visit from Blake’s girlfriend (Kim Gordon, Sonic Youth) who asks him how it feels “…to be a rock and roll cliché.” Perhaps that’s the point of the film – Blake’s downward spiral is all part and parcel of the lifestyle, of the responsibilities of celebrity, and the way that it ostracises people. The most heart breaking and honest scenes occur from a distance. There are two that speak the most without really saying much and they involve Blake playing music. This is where the choice of Pitt as the star becomes more understandable. Pitt can emulate the grunge style very easily and he even plays one of his own songs (Death to Birth). It’s in these moments that you see who Blake once was rather than who he now is. It’s touching and haunting filmmaking and it effectively introduces you to a ghost. Van Sant’s hands off direction comes to the fore in these musical moments. One scene that stands out involves Pitt improvising and playing several instruments and looping them into one song. The scene is shot in one take and Van Sant places the camera outside of the building. We watch Blake create music from outside and we can barely see him. Something about the nature of musicians in popular culture rings out here. It seems that although we can hear the music, we know who is writing it, we can’t truly see the person creating it. Famous folks seem to disappear and become caricatures of their fame. They become known not for themselves but for their artistic output. The sad truth is that that artistic output lives on much longer than the people themselves. For Blake this means that he leaves behind clear symbols of his life but they lack truth. They don’t say anything about him except perhaps in the abstract. The camera pulls back from Blake during this scene as his cries become ever more plaintive. There’s no help for him and we all know that his story doesn’t end well. For most of the film we watch Blake from a distance. He’s not our hero, he’s not especially our protagonist, instead he’s simply a man at the worst point in his life. There’s no respite or hope or redemption. Instead there’s just sadness at such a waste of life. When he dies there’s no relief for either the audience or Blake. Blake literally climbs out of his body. It’s not an easy transition, he doesn’t drift off, but it seems that he has to fight to leave his body. In the moment, in that horrible present, Blake struggles even with death. Nothing comes easy to him but in this scene we leave him behind, the story no longer matters. How Blake got to this point isn’t really the point. This is an apt summation of Kurt Cobain’s final actions too. Regardless of any conspiracy, Cobain died and that’s where it ended for him. The person is gone but their influence remains. Does it really matter?